With April quickly approaching, diamond jewelry has been on my mind (not that it isn’t always on my mind). I was born in April, so my birthstone is the diamond, which may explain why diamond jewelry is my favorite. Recently, our jewelry designers have added some fresh, new diamond ring designs to deBebians and I wanted to share them with our readers. The designs are each unique in their own way and bring a new sophistication to our collection. This marquise diamond ring is perfect for spring! 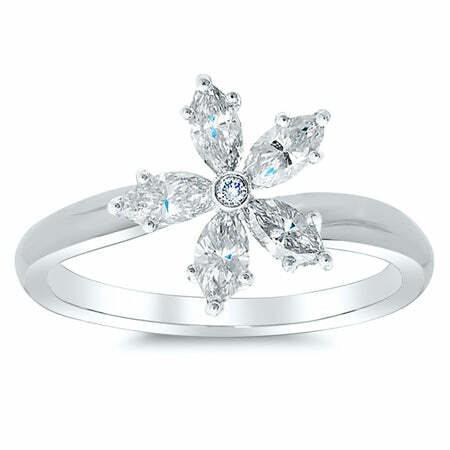 It features a flourish of marquise diamonds that surround a center round brilliant diamond, making the shape of a flower. This ring may be made in gold (14 or 18 kt), palladium, or platinum. 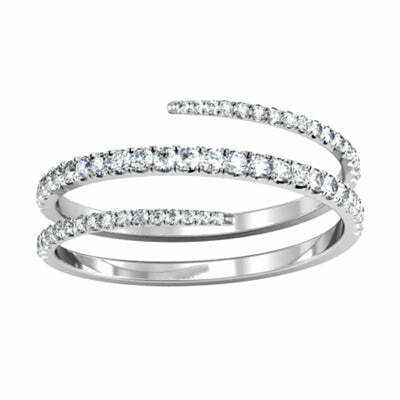 As you know, I am a fan of stackable eternity rings because they add such a fun versatility to one’s jewelry. This new eternity ring features bezel set round brilliant diamonds that are spaced equidistant apart the entire way around the ring. 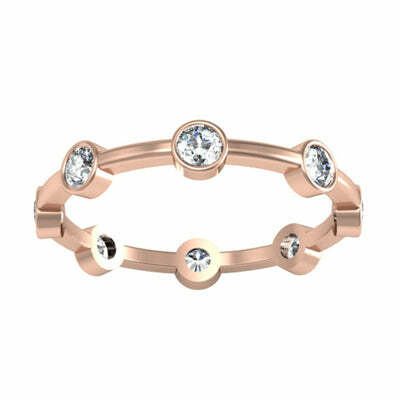 This ring comes in 14 kt gold, 18 kt gold, or platinum. This coiled diamond ring is modern and absolutely stunning. Though it may be worn as a wedding band, it may certainly be worn as an anniversary ring or a fashion accessory. Choose from 14 karat gold, 18 karat gold, or platinum for this piece.